If you love gold jewelry, but are in the market for something a little more affordable, let us introduce you to gold vermeil jewelry. You’ve likely come across gold vermeil, a centuries-old jewelry metal that’s currently peaking in popularity. It looks like gold, it seems like gold–but it’s actually not gold. So, what is gold vermeil? Is it worth buying? Is gold vermeil right for you? There are a lot of burning questions, so let’s break down everything you need to know about gold vermeil jewelry. During the regal Victorian Era, gold vermeil was popularly used in jewelry, housewares, tableware and more. Currently, the United States White House has a room dedicated to vermeil, appropriately named the Vermeil Room. In this room all of the tableware and ornaments are entirely made of gold vermeil. So, what exactly is gold vermeil? Gold vermeil is a metal that’s coated in a surface layer of gold. To be classified as vermeil, three standards must be met. The mixture of the base metal must contain 92.5 percent sterling silver or fine 99.9 percent silver. The thickness of the gold coating must be at least 2.5 microns. The gold purity needs to be at minimum 10 karats. How is Gold Vermeil Made? The process of creating gold vermeil involves electrolysis. Essentially, fine silver or sterling silver gets coated in a surface layer of gold. Electrolysis applies a thick, continuous coat around the base metal. The lifespan of gold vermeil depends on how effective the electrolysis process is. Basically, the coating needs to be thick enough to withstand wear and tear. Another important factor is the quality and purity of the gold. The more pure the gold is, the softer it is, the less pure the gold, the more durable. In other words, to ensure your gold vermeil jewelry will stand the test of time, buy at least 14k or 18k gold vermeil. 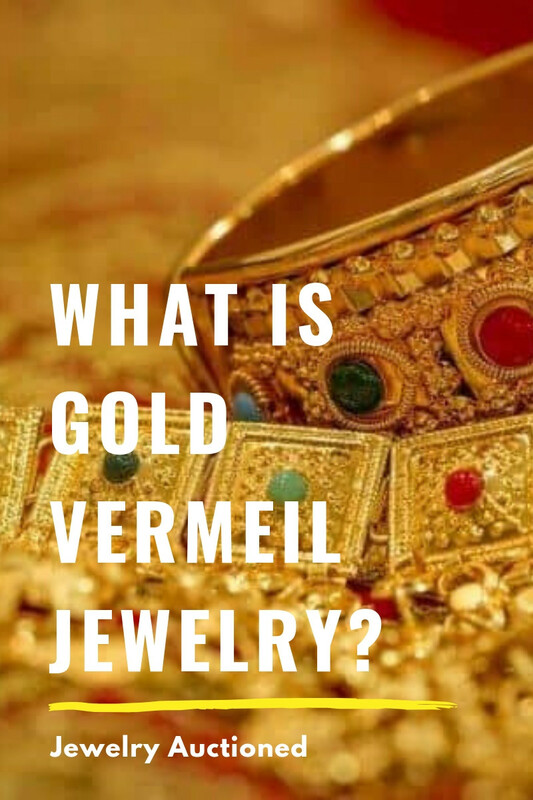 Is Gold Vermeil the same as Gold-Filled or Gold-Plated Jewelry? Not exactly. While there are similarities, there are key differences between gold vermeil and gold-filled or gold-plated jewelry. When something is gold plated, the base metal can be any variety of metals and there is no standard for the purity of the gold-plating. This means that gold-plated jewelry will have differing thickness, and essentially cost less. Furthermore, the plating tends to wear off easily, exposing the base metal. 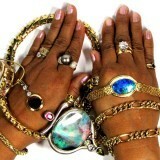 Conversely, gold-filled jewelry is actually more expensive and valuable than gold-plated jewelry. Why? 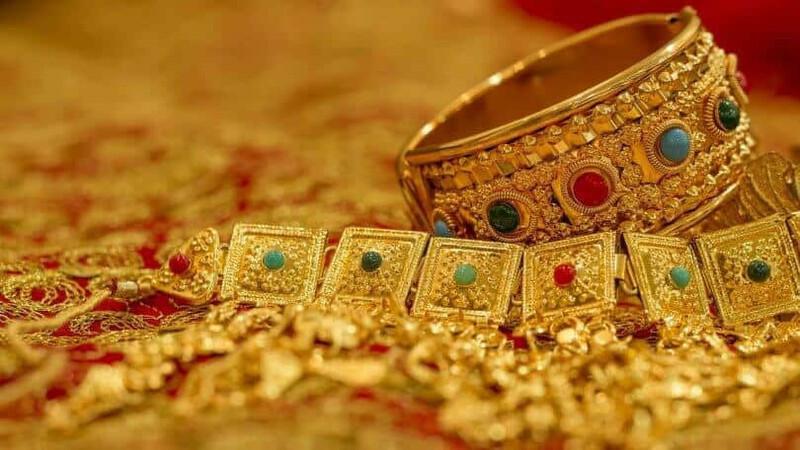 Rather than a thin coating, gold-filled jewelry items commonly contain a gold alloy, or mixture, as the base metal. 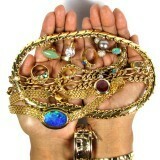 With regards to value and quality, gold-filled jewelry is second best next to pure, solid gold. Because gold-filled jewelry has a higher-quality gold or gold alloy base metal, it is hypoallergenic. Gold-filled costs more than gold vermeil or gold-plating. Gold-plating tarnishes, wears off easily, and does not have standards for the base metal. Gold vermeil is in the same price point as gold-plated, however gold vermeil must adhere to base metal standards. Regarding jewelry metal allergens, copper and nickel are the biggest threats. As previously stated, gold vermeil uses fine silver or sterling silver as a base metal. This means that gold vermeil is generally a safer metal for sensitive skin. That said, sometimes the base metal can contain an alloy or filler metals. It’s smart to consult with a jeweler to ensure that the gold vermeil you’re buying does not contain any base or mixture metals that can cause an allergic reaction. Generally, gold vermeil is hypoallergenic. However, you always want to take precaution and get proof from the jeweler before purchasing gold vermeil. Store your gold vermeil in a safe jewelry box that is lined with fabric. 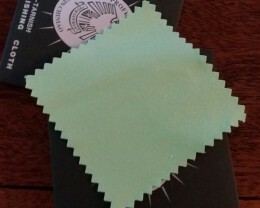 This will keep it safe from dust and grime when you’re not wearing it. Keep gold vermeil away from heat as it can alter the shape of the jewelry. Wipe your gold vermeil jewelry with a cotton or microfiber cloth or towel and warm soapy water. This will help minimize the buildup of natural skin oils or grime that can influence the sheen and condition of the gold vermeil. Do not use harsh chemicals on gold vermeil as it will discolor the jewelry or tarnish the gold coating. Gold vermeil is a great alternative to pure gold. In fact, it’s more affordable and looks like real gold. Only you need to know that it’s gold vermeil. 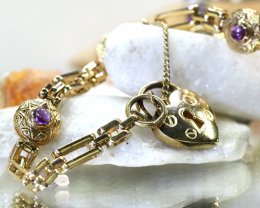 If you take care of your gold vermeil, it will last decades–maybe even a lifetime! 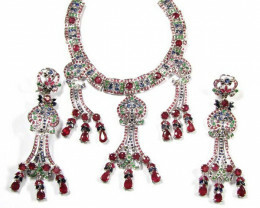 That said, there are some factors to take into consideration when buying gold vermeil jewelry. First, be vigilant when buying gold vermeil. Why? Gold vermeil should cost more than gold-plated pieces or sterling silver. When gold vermeil is in a pricepoint equitable to either of those other metals, it means that the vermeil is low quality. Ultimately, this is not an investment and will not last long term. How do you ensure that the gold vermeil you’re buying is high-quality? Buy from a jeweler you know and trust or who has an honest reputation. 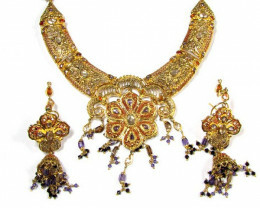 A reputable seller will disclose the standards of the gold vermeil. 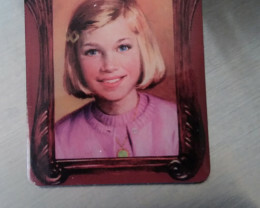 Another important factor to look for is the 925 stamp. 925 denotes that a metal is sterling silver. Wait, why would you see a 925 silver stamp on a gold vermeil piece of jewelry? To signify that the base metal of the gold vermeil is in fact sterling silver. Lastly, inquire about the purity and thickness of the gold coating. Having an open dialogue with the jeweler about the quality, purity and base metal of gold vermeil will help you make an educated purchase. Gold vermeil is a great alternative to solid gold. 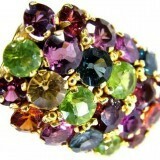 It’s durable, high quality and shines like solid gold at an affordable price. What does a 925 Gold Jewelry Stamp Mean?